« The 12R Has Landed! As I think back to the different kayaks I have used, I find it interesting to reflect on all of the lessons they have taught me. I used to be a diehard freestyle kayaker, and dropped pretty much everything in a freestyle kayak until I met Dave Fusilli and got into a creekboat (a Shiva) for the first time. I was blown away by how much fun the extra speed of a creekboat can be, and really enjoyed the extra stability and the confidence they gave me too. The change opened up new doors not only in the rivers and rapids I could take on, but also in my perspective on kayaking. When the 9R debuted with its extra length and beautiful rocker profile, I feel like my whole kayaking game flipped once again. All of a sudden I was capable of boofing so much more, riding higher and drier over things and going faster than I ever thought possible. The 9R taught me a great appreciation for speed, staying in the main flow and blitzing down rivers. Yes, it was originally designed as a race kayak, but it also works exceedingly well as an all round creek kayak, provided you bring your ‘A’ game and remember to keep one step ahead and focused on the next move. 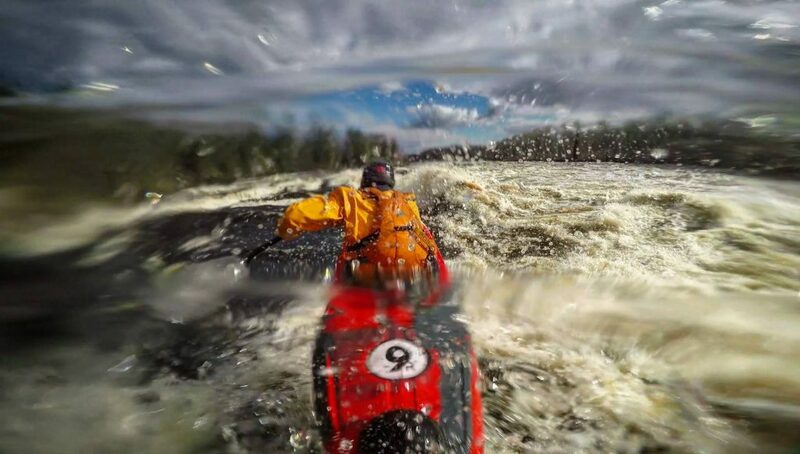 Over time as both my skill and desire to run bigger rapids grew, I found myself wanting something that had a little more volume, a more stable width, and was easier to control at points where losing it would mean dire consequences. I wanted something that would operate comfortably at lower speeds and enable me to look even further ahead when approaching first descents. Those “wants” are what led me to switch to the Machno as my main creek machine. Paddling the Machno makes it feel like everything has been slowed down, but it is no slouch, and incorporates a lot of what we have learnt about rocker profile with the 9R, also making it a dream to boof. I feel like because the Machno is easier to handle I have more time to be stylish through rapids, rather than fighting to maintain control. As brilliant as the Machno is on hard whitewater, the days where I truly get to push this kayak to its limits are relatively few; on everyday chill sections is where the Ripper earns its place in my arsenal. 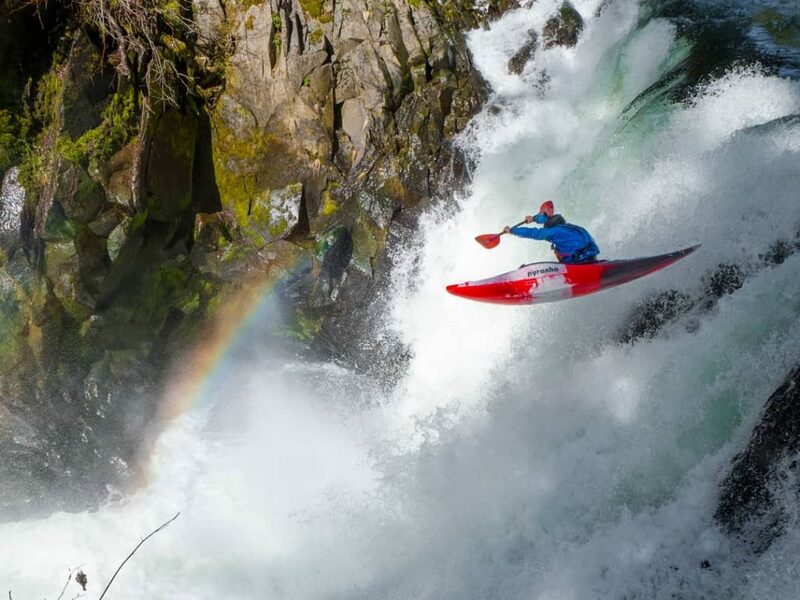 There are a lot of choices within the freeride kayak genre, but I truly believe the Ripper to be the best; I love the down-river speed, how easy it is to boof, the fact that I can surf any wave on the river in it, and how beautifully balanced it is when getting vertical. 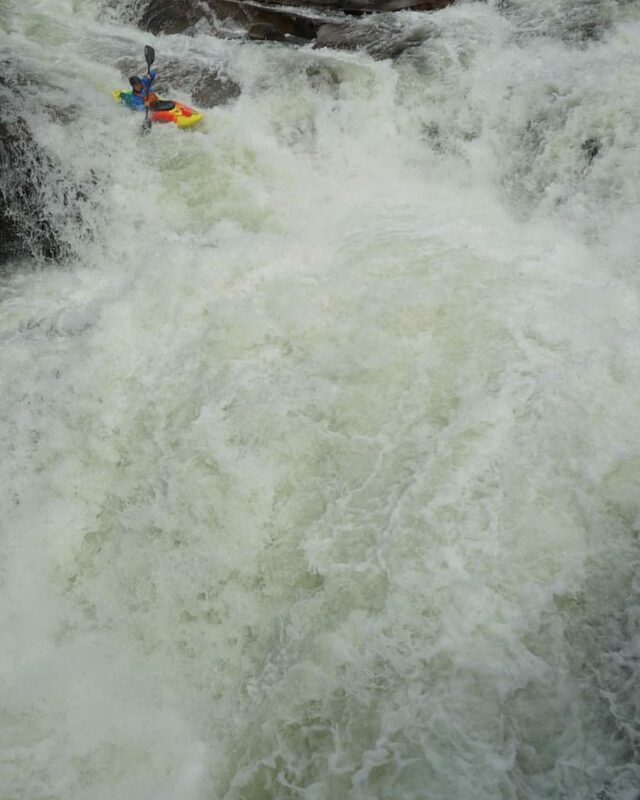 Charging hard whitewater in the Ripper is not as easy as in the Machno, but it is oh so rewarding! Ultimately, one kayak is just not enough for me to be fully satisfied, and I love that within each area of kayaking that I enjoy there is a Pyranha kayak that fits in perfectly. Currently I swap between the Machno, Ripper, Jed (Carbon), Jed (Plastic) and during race season I will hop back in my 9R. I haven’t managed to get on the water in the Fusion Duo or 12R yet, but I look forward to putting them to good use over the coming months and seeing what lessons I can learn from using them, and whatever else the future holds for Pyranha.